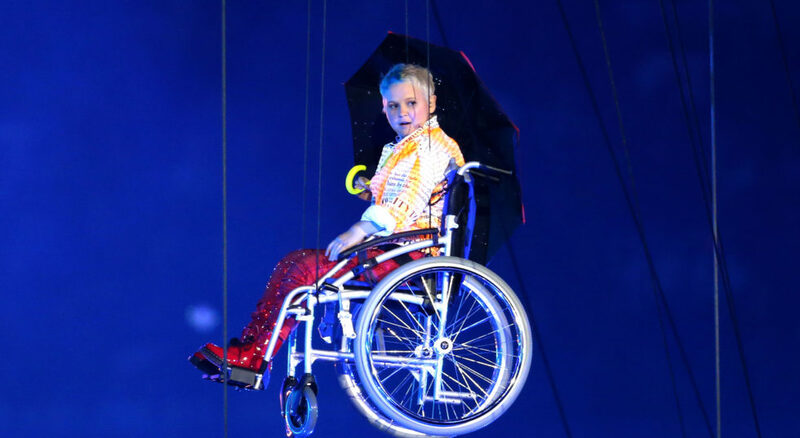 On 29 August 2012, the world watched as D/deaf and disabled people literally took centre stage in the spectacular, game-changing Opening Ceremony for the London 2012 Paralympic Games, directed by Jenny Sealey and Bradley Hemmings. Watching the cast of ‘Reasons to be Cheerful’ performing ‘Spasticus Autisticus’ to a worldwide audience of two billion people (including HM The Queen) was an incredible statement to witness. To mark the fourth anniversary of the Games, and the year of the Rio Paralympic Games, artists involved in the London 2012 Paralympic Games Opening Ceremony Mat Fraser, Nicola Miles-Wildin, John Kelly and Jenny Sealey joined Rufus Norris, Director of the National Theatre on Wednesday 3 August at the National Theatre, to discuss the legacy for D/deaf and disabled people over the last four years, as well as what role the artistic community can play to ensure the fight continues.